Welcome New OOG Director Niquelle M. Allen! 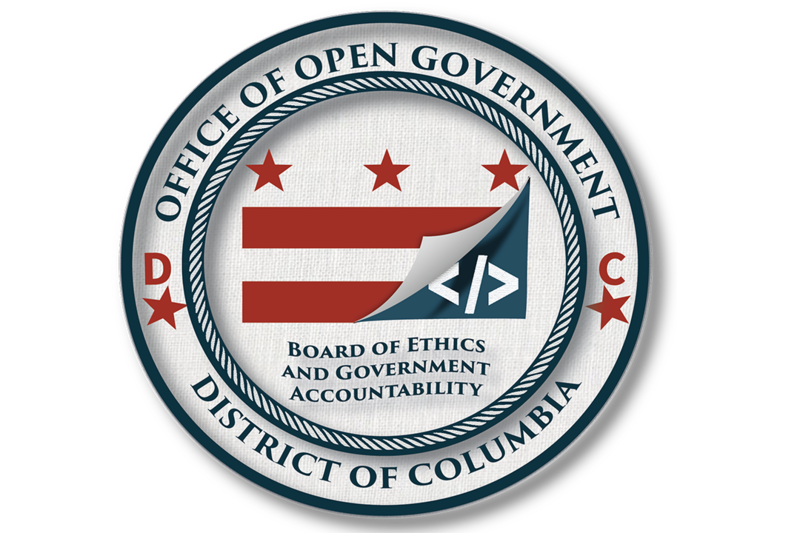 The District of Columbia Board of Ethics and Government Accountability (“BEGA”) selected Niquelle M. Allen as the new Director of the Office of Open Government (“OOG”). Ms. Allen’s tenure as the OOG Director began on Monday, July 9, 2018. OOG’s new Director is a seasoned and respected attorney. Director Allen has served with distinction in the District government for 16 years and has practiced law for 19 years. Most recently Director Allen served as Senior Policy Advisor and Counsel for the Office of the Chief Technology Officer (OCTO). At OCTO, Director Allen worked on information technology (IT) law and policy, and most notably, she assisted with the drafting and implementation of the District’s Open Data Policy. Director Allen also served as OCTO’s Interim Director of DC-NET, the District of Columbia’s broadband network. Under her direction, DC-NET expanded its free Wi-Fi program and expanded its service portfolio to include to the federal government and non-profit entities. Director Allen proudly served as an Assistant Attorney General for the District of Columbia from 2002 to 2013, where she practiced law in the areas of telecommunications, cable television regulation, civil litigation, and alcohol beverage regulation. 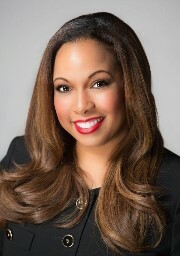 Director Allen also served as the FOIA Officer for both OCTO and the DC Office of Cable Television (currently operating as the DC Office of Cable Television, Film, Music & Entertainment). “Ms. Allen is the perfect choice to lead this Office,” said BEGA Chair Tameka M. Collier. “The Board believes that the future of Open Government lies in role-based training, public outreach, and enhanced information technology capabilities that make government data easily accessible. Ms. Allen’s enthusiasm and experience, particularly in IT law, will serve her well in this position.” Director Allen said, “I am honored to have been selected to serve as the Director of the Office of Open Government.” Director Allen also said, “I look forward to leading the Office and working with all sectors of the government, as well as outside stakeholders, to ensure maximum access to the important work of city officials.” Director Allen received her bachelor’s degree in political science from the University of North Carolina at Chapel Hill and her law degree from North Carolina Central University. Director Allen is a member of the District of Columbia Bar, the North Carolina Bar, and the Supreme Court Bar. Director Allen was born in the District of Columbia and currently resides in Ward 4. Introduction of Bill 22-0743. On March 6, 2018, the Preservation of Electronic Recordings of Meetings Amendment Act of 2018, was introduced by Councilmembers Gray Mendleson, Grosso, White and Evans. This measure: (1) amends the Not-for-Profit Hospital Corporation Establishment Amendment Act of 2011, to require retention of electronic records of meetings of its Board for a minimum of five years; (2) requires the Board take all efforts reasonably necessary to recover and preserve electronic recordings for its meetings as of April 1, 2013; and (3) requires the Board to inform the Council and the Director of the Office of Open Government in writing of its compliance efforts by April 1, 2018. On June 22, 2018 and July 11, 2018, the Committee on Health held public hearings on the measure which is currently under Council review. During its March 6, 2018, legislative session the Council enacted DC Act 22-310, an emergency version of Bill-0743 that was signed by the Mayor on April 4, 2018. D.C. Act 22-310 was effective of 90 days. Read DC Act 22-310 here. The temporary measure became D.C. Law 22-0016 on July 3, 2018 and will remain in effect of 225 days. View the temporary law here. American Bar Association Open Government Summit. On March 13, 2018, the OOG attended the seventh annual D.C. Open Government Summit at the American Bar Association’s Washington, D.C. office. The focus of the 2018 summit was the state of government transparency in the District of Columbia. The former OOG Director, Traci Hughes, was interviewed about her experiences as the Director of OOG and her perspective on the future of the office and transparency in the District of Columbia government. The Language of FOIA. The “public domain doctrine” is the legal principal that the government may not rely on FOIA’s statutory exemptions and must release the record when the following has occured: (1) a permanent and complete copy of the record has been released in the public domain; (2) the party asserting a claim of prior disclosure identifies the specific information in the public domain that appears to duplicate that being withheld; and (3) the government fails to demonstrate that the specific records identified have since been removed from the public domain. See Afshar v. Department of State, 702 F.2d 1125 (D.C. Cir 1983), and Cottone v. Reno, 193 F.3d 550 (D.C. Cir. 1999). See Afshar v. Department of State, 702 F.2d 1125 (D.C. Cir 1983), and Cottone v. Reno, 193 F.3d 550 (D.C. Cir. 1999). OOG Advisory Opinion Regarding MPD. The OOG’s most recent FOIA Advisory Opinion was issued on June 28, 2018 and resolves the following issue: whether it is consistent with FOIA for the MPD to require requesters of certain records about themselves (first-party request) to attach to the request proof of their identity at the time of the submission; and that attorneys making FOIA requests on behalf of clients supply proof of identification for the client or the attorney, such as a copy of the client’s or attorney’s government-issued identification, and proof of representation such as a signed authorization or a retainer agreement. Read the Advisory Opinion here. Open Meetings Advice. The OOG has opined that the Open Meetings Act (OMA) requires a public body to first meet in an open session prior to entering into a closed or executive session. The public body must follow the OMA’s protocol for entering a closed/executive session prior to commencing the closed/executive session. (D.C. Official Code § 2-575(c)). Once the closed/executive session has concluded, the public body must then return to an open session to put on the record any official action that was taken during the closed/executive session (“closure”). The OMA does not preclude a public body from holding an entire meeting in closure. It instructs that prior to closure, the public body must in an open session. The open session then resumes after the public body meets in closure. Plainly stated, the closed session must be part of a single meeting, which commences and concludes as an open session. Welcome to the Major Crash Review Task Force and Statewide Living Independent Council. The Major Crash Review Task Force and the Statewide Independent Living Council are the most recent public bodies to join the exclusive group of entities that publish on the District’s only central meeting calendar for public bodies on OPEN-DC.GOV. The OOG maintains this central calendar for public bodies and the public bodies can meet all OMA “Notice of meetings” (D.C. Official Code § 2-576) and “Record of meetings” (D.C. Official Code § 2-578) requirements by publishing online at OPEN-DC.GOV. The site is user-friendly, and allows secure publishing from a desktop. 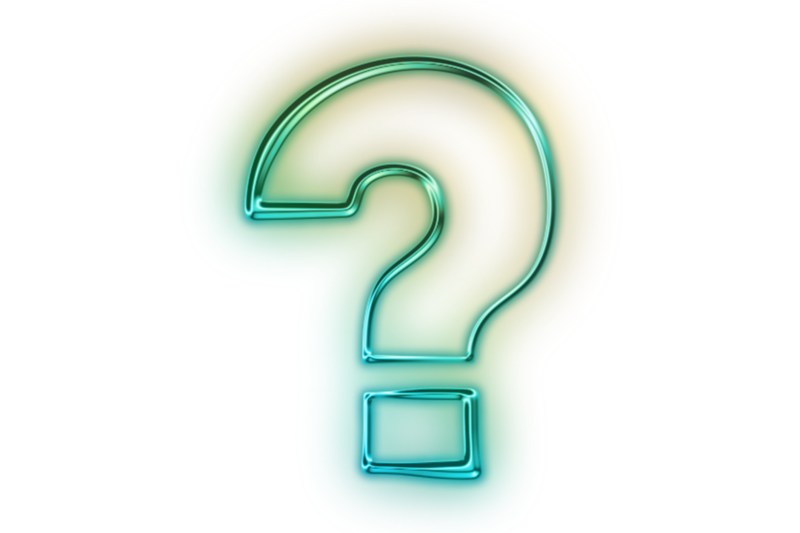 The site also allows entities to list its member’s names and roles within The public body. A password and login information is necessary to publish on OPEN-DC.GOV. The Office of Open Governments issues binding advisory opinions on compliance with the OMA. OOG-006_10.01.17_AO Whether the Mayor’s Advisory Board on Veterans Affairs: methods to cancel meetings; failure to record meeting minutes; and conduct of a meeting by electronic means comport with the requirements of the OMA. OOG-0012_10.13.17 _AO Dismissed Complaint resolving whether a subcommittee is subject to the OMA. OOG-0013_11.14.17_AO Whether the COST failed to properly notice meetings that occurred on May 24, 2016, July 8, 2016 and July 12, 2016, in violation of D.C. Official Code § 2-576(1)(2)(A)(B); and if the OOG may nullify the meetings of the COST that occurred on March 3, 2016 and July 13, 2016. OOG-0014 and 0015_12.14.17_AO Whether the United Medical Center Board of Directors properly entered into closed/executive session during its December 13, 2017, meeting to vote to close the hospital's obstetrics unit. OOG-0002_2.6.18 Dismissed Complaint resolving whether the fee to process a FOIA request was reasonable; whether COST’s denial of a FOIA fee waiver comports with the law; whether Cost may lawfully deny the complainant’s fee waiver request; whether the OMA empowers the OOG to nullify public hearings; and whether the OOG has statutory authority to sanction employees of public bodies that violate the OMA or FOIA. OOG-0003_3.11.18 Dismissed Complaint resolving whether the discussion of a recommendation for re-appointment is the proper subject of a closed/executive session. OOG-0001-1.30.18_AO Complaint resolving whether the UMC Board’s failure to make available to the public an electronic recording of its February 21, 2017, Strategic Planning Committee Meeting violated the OMA. OOG-0004_4.20.18 Dismissed Complaint resolving whether a pharmacy is a public body subject to the OMA. OOG-0006_5.24.18 Dismissed Complaint resolving whether the OMA empowers the OOG to seek disciplinary action against employees of a public body for alleged violations of the OMA; and whether the OMA empowers the OOG to nullify a public body meeting. OOG-0007_6.06.18 Dismissed Compliant resolving whether the OMA regulates the conduct of public meetings of ANCs. OOG-0008_6.26.18 Dismissed Compliant resolving whether the D.C. Public Charter School Board’s failure to provide 30-day’s notice to the ANC of their intent to consider a matter involving the Statesman Public Charter School violates the OMA. 1 Taken from the DCOA website. Understanding the interplay of the rules of parliamentary procedure with the OMA. Discussion: Administering the OMA from the point of contact’s perspective. OOG provides advice to agencies and the public on compliance with FOIA and the OMA. Call (202) 481-3411 or email opengovoffice@dc.gov. Copyright © 2017 Office of Open Government. All Rights Reserved.